So I've got my VHF SRC course out of the way and the next thing is to actually buy a radio. I have some ideas already about which ones are on my shortlist but I'd be interested to hear what others have gone for and what they think of their choices. Any thoughts folks? Two spring to mind at the moment which would be good for canoeing, one is a Standard Horizon HX851E (~£200) and the other is a new Icom IC-M91 (~£300+). The reason is that both of these hav the DSC facility which will become more vital as the constant watch on CH16 is gradually reduced by users. Other than the DSC facility, they are all pretty much the same features wise but performance varies. Another feature to look out for is the option to use an AA battery pack which is useful when you don't have a handy charging system. At the moment I have an old Sylva which works well but does not have a battery status indicator which in annoying. There was a TV advert on tonight showing lots of people nearly falling off cliff tops, off jetties or out of boats and they said, "Get into trouble, call 999 and ask for the coast guard". I guess I have to ask the question with technology like mobile phones now including GPS, is it not possible to get a mobile phone signal a mile out off shore that would enable you to call the coast guard via 999 and give them your exact coordinates? Pop a mobile phone into an Aquapac with a float on the end or tie it to your lifejacket/ BA and it shouldn't sink to the bottom. My concern with VHF handheld radios are battery life and signal range. If the signal is so poor that no one on land could hear you or the battery has died, then I can see little benefit if I'm honest. Maybe there is a decent VHF handheld out there, not sure. Perhaps a cheap set of non-VHF radios with someone on shore by the car with a mobile phone & signal would be enough or if a mobile signal can be obtained off shore, no radio of any type would be required. Of course I do like the idea of waterproof handheld radios for groups of sailors to stay in contact with each other while out for a day, but would it need to be an expensive VHF radio? Thanks Chrish. I had considered the Standard Horizon HX851E but I'm not sure the technology is quite there yet in terms of handheld DSC. The research that I've done on the sea kayaking forums suggests that the battery life isn't too good on the 851 and the DSC would be worthless with a flat battery. I'd pretty much decided to go for a basic set with no bells and whistles but decent battery life and maybe look to upgrade in the future to DSC (when they're a bit more tried and tested, cheaper and there's more choice). I have no doubt the future lies with DSC though. The facility to use AA batteries is useful but some (most?) of the models that allow this will only transmit on 1w with those batteries. I wonder if buying a spare battery would be more cost effective than buying the AA tray? Steamerpoint, there are lots of reasons a VHF won't give enough range to reach the Coastguard direct but there is also the chance of speaking to another vessel carrying VHF who could relay your message (all fishing boats, merchant ships and most yachts will have a VHF onboard). A mobile phone is another line of defence (I have a waterproof phone that I have leashed into my BA whenever I go out in my canoe) but many areas on the west coast of Scotland have no phone signal. There are no guarantees with things like this but it's about taking sensible precautions. 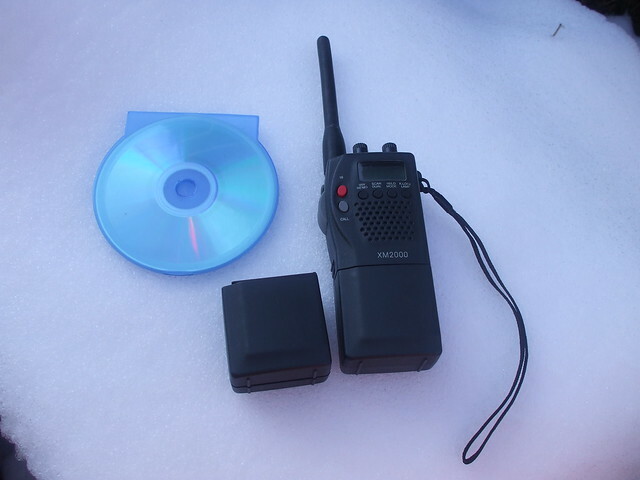 Probably the best safety option would be to buy a McMurdo Fastfind PLB (or similar) which will relay your GPS coordinate to the emergency services quickly from virtually anywhere in the world (they work via satellite coms channels), they cost about £210 (for a GPS enabled version), have no subscription charges, a five year battery life (after which you need to send them back to have the battery renewed) and will work for 24hours once activated. I have one of those on my wish list as well (and reckon that it could be money well spent compared to shelling out the extra for a DSC radio).I think that looking at the VHF purely as a means to summon help from the Coastguard is to miss the point somewhat. They offer much more than that such as the ability to talk to other shipping (about any number of things), sailing partners who have a radio, receive weather forecasts etc. Last edited by Jurassic; 1st-February-2012 at 12:41 AM. i am a professional seaman and use VHF daily for the past 13 years, the question of range is a good one however there is no straight answer VHF is light of sight so 12-20 miles on ships as the aerial is 6m + above the surface of the water, line of sight from a RIB is 6-10 miles so a similar range could be expected from a canoe, but all of this is effected by atmospheric conditions and weather some times massively improving range some time hindering. DSC does use VHF but is normally thought as being a longer range than VHF voice and in practice does tx further but I'm not sure why the main advantage of Dsc calling is being able to force nearby shipping to listen to your channel buy a dsc call but all shipping should listen to 16 by LAW normaly on a duel watch. if you paddle in an area of shipping VHF I would say is a must. battery life is a issue but they normaly last a day in my small boat depending on the amount of talking done. mobile phone signal is very variable and never to be relied on!!! ever. The locating gps are amassing tech but offer only one function ie " I am drowning in this position send the lifeboat / navy , all ships in range that receive the message! " not so good if you just want to tell the fishing boat closing you to be aware of your position. My purchase pre-dated the introduction of DSC on handhelds (albeit only just)... but I reached a few conclusions before buying an Icom M71 at a boat jumble. I did encounter some interesting things about moisture-penetration... but my main conclusion was that the humidity and pressure inside a sealed, waterproof container that's out in the sun could force moisture through any seal on any unit. The M71 battery has done me 17 days around Skye, just the forecasts and a half day of use when I was separated from my companion -long story- with plenty of life still left. I also had it all around Corsica, nearly a month, but only used it at the set hours for the forecast about 10 minutes a day and no transmitting, but it still had plenty of capacity if we had hit a problem. In a busy shipping area like the Solent, I'd want to have the VHF on all the time to listen to what's going on.... but for trips off the west coast of Scotland, this minimal-use approach sounds reasonable. I have owned an Icom M33 for the past 18 months and it's as good as the day I bought it. I have heard that people have issues with the battery charging terminals corroding on this particular model but mine lives in an aquapac whilst out on the water, be it salt or freshwater. Things it's got going for it is - it floats if dropped in water, allegedly waterproof and reasonably sturdy. But as I have said, i tend to use an aquapac (well actually an overboard vhf case) as a secondary defence for it so can't vouch for it's ability after a good dunking, I would be hesitant about relying on any manufacturers 'waterproof ' claims on electronic equipment, especially on a life saving piece of kit such as this! I think I paid around £120 new for it. Thanks for your thoughts matt1981, that's exactly the kind of input (based on real life experience and use) I was looking for. I'm pretty sure that in five years time DSC handheld radios will be the norm, I'm just not sure that it's quite there yet (unlike the fitted ones which seem to be excellent). One thing that the guy taking my VHF course kept stressing was that for safety you should have as many layers of protection as possible (which is the basis of the GMDSS protocol anyway) so, VHF, DSC, EPIRB (or more likely PLB in our case), SART, mobile phone, strobe, flares would all be valid. Greg, I've only ever seen positive comments about the Icom M71, owners seem to swear by them. I can't envisage not having the radio leashed to my BA so I'm not sure that a floating radio is really necessary for me. Certain places up here are pretty busy as well (not as busy as the Solent I'll grant you). The Firth of Clyde, Oban harbour and the Sound of Mull spring to mind as potential cruising grounds which have pretty heavy traffic. Last edited by Jurassic; 1st-February-2012 at 12:51 PM. Thanks Steve T, good to know your M33 has been trouble free. I have read a few horror stories about the third charging terminal corroding on the battery on the M33. I think Icom have changed the design on some of the subsequent models. They offer much more than that such as the ability to talk to other shipping (about any number of things), sailing partners who have a radio, receive weather forecasts etc. My vote is for the Icom M71 as well. http://www.marinesuperstore.com/posi...04++++++++++++ £170 seems good value to me - less than I paid a couple of years ago. It's "more stylish" than others - always important for us... !! On standby it seems to last for several days. On longer trips I try and take the means to charge it. I'm looking at battery packs that can charge all the gizmos - phone, cameras, VHF. I have used small sealed lead-acid packs but lithium-ion ones are lighter if more spendy. My ICOM23 is still as good as the day I brought it! But that's because it's has mostly sat in my drawer since last August. But it is waterproof and floats and is very small. The Icom M71 is on my shortlist Keith along with the cheap and cheerful Standard Horizon HX280E (and a few other less likely but possibles). I think I've ruled out the DSC models purely on the basis of poor battery life. I too had thought about taking a top up battery to charge gizmos (cameras, phone, GPS, VHF etc) from on longer trips, I also looked at solar charging but by all accounts it's not very effective (especially in Scottish weather conditions ). It was interesting to note that one guy on my course boats exclusively on Loch Lomond and reckons that VHF is quite widely used on the loch (I was already aware that the Rangers use VHF) so that might be an extra benefit for me. seem to be suitable and not silly money - but just beyond my "impulse buy" theshold! Hmm, I wonder if you would be able to rig the PV panel on the deck of your canoe while sailing? It struck me that otherwise the time you would be trying to charge your battery (usually in the evening after a days sailing) would be the time when the sun would be starting to lose it's intensity. At the time I came to the conclusion that I'd just take a SLA 12v battery with me pre-charged (and maybe a cheapo PV panel to top it up), that set up would be cheap but heavy as you said. Maybe some experimentation and field testing is called for? Evening would be the time to set it up to get those warm evening rays but then just before bed turn it to gain most from dawn the next morning - especially in your Northern latitudes where it barely gets dark! Remember good daylight is enough to get some charging - full sunlight is better, tho. re panels on deck during the day - I'm not sure how tough these flexi panels are - especially against salt water. Getting the connections sorted should be doable. I'm thinking rear deck/airbag, which doesn't get a lot of splashing. Haha, this is interesting to look into (I love this kind of "is it doable speculation" ). So far I have found relatively cheap dry boxes here (to store a battery in) http://www.ewetsuits.com/acatalog/dry-boxes-uk.html , IP68 connectors here http://uk.rs-online.com/web/c/?searc...ip68_connector . Combined with one of those PV panels that you saw on fleabay and a SLA battery it should be possible to knock up a reasonably versatile and robust system for not a huge outlay. Some of the panels on your ebay link can be walked on and are waterproof (can be used on boats according to the blurb). I was thinking of an IP68 bulkhead socket epoxied and bolted onto the battery box then an IP68 plug attached to the cable from the PV panel. You could then have another IP68 plug attached to a cigar lighter socket on a trailing lead for charging the gadgets using a 12v car charger adapter. Last edited by Jurassic; 1st-February-2012 at 05:34 PM. I use an ICOM M71. I bought it because of the long battery life. It doesn't float but it's on a cord attached to my buoyancy aid. No problems at all with the terminal corroding even though nearly all my sailing is on salt water. Steve, thanks for the recommendation. The M71 seems to have a loyal following on SOTP as well as on the sea kayak forums. The terminal corrosion problem didn't affect the M71 (or some of the other Icom radios) afaik. Thanks Jay, I'll check the raymarine out. Chris W, we talked VHFs (amongst lots of other things of course!) at the OCSG Winter Meet. We're looking at getting some - maybe a group buy and possibly a few club ones for use at our meets. Just need to figure out which ones to get! And find a good deal on them... Have you bought one yet? Any more research on best models? Oh and just as importantly! Your photo won first prize! So we need to present you with the trophy at the next opportunity. Unless I've misunderstood the regulations for using marine VHF, the users either need to hold a licence or be in the direct supervision on a licence holder. Will this be the case at club meets? I neglected to mention that we also talked about putting on the VHF users course so that people can get the training and gain their licence. We have a couple of possible providers of such a course. Hi Keith, I've pretty much decided on the Standard Horizon HX280E. It's cheap and basic but rock solid by all accounts and has a 1650mAh battery which (although not as large as that in the Icom M71) is one of the largest available. I've looked high and low on the net for reviews and have only found positive things about the radio. The only slight downside I can see is that it doesn't float but then I plan to leash it to my BA at all times anyway. They retail at just over £100. I'm glad that people liked the photo and flattered that it was chosen as the winner, thanks. Thanks for that, Chris. Do you happen to know if the charging unit on those cuts out when the battery is fully charged? Either on a timer or ideally with some kind of sensing circuit? With some of these systems it's easy to overcharge the battery, reducing their lifespan - can happen when these things are "neglected" or used by less experienced/knowledgeable people. Hmm, I'm not sure about that. I've just read the instructions (available as a PDF here http://www.standardhorizon.co.uk/fil..._EM038N201.pdf ) and it says "When charging is complete the red LED indicator will change to green. Remove the transceiver from the CD-46 (cradle) and unplug.......from the AC line outlet" so I suspect the answer to your question is no and that you would have to remove the radio from the charger as soon as possible after the light turns green. I have the previous standard horizon HX270E. It comes with a re-chargable battery but also a pack that takes 6 AA batteries. Good for extended use. Here's another review I'd read (it's a yank review so applies to the HX280S US model but it's essentially the same radio as the E model). Nearly bought a HX280E last year when we were discussing VHF, but decided against the idea because I saw them selling on ebay for only £80 + postage for brand new radios. Figured that for that money, they can't be very good, but reading more reviews, they sound quite good. Is the HX290 bigger then? I guess they need more room for foam to fit inside. The 290 looks like a different radio (not just an updated 280) but I can't find any info about it's battery size. That combined with fact that I don't regard a floating radio as a priority has ruled it out of my shortlist for now. I've only seen positive things about all the Standard Horizon radios (and most of the Icoms) so it's really about deciding what features you require and how much you want to spend. I don't think the actual radio performance varies much between the low end and high end models (although the high end ones are 6w not 5w but by all accounts that isn't a huge factor in determining performance). The more expensive models tend to be a little bit more bulky, have more features (that you may or may not need/want) and have shorter battery life (as all those extra features drain power). I have the standard horizon HX750E which has been good, the newer version is the 851 which has DSC, the advantage of these models (750/850/1)is that compared to most of the other standard horizon range they float and are bang proof, I have had mine for a couple of years with no problems at all, there are quite a few threads on the sea kayaking section of UKRGB which maybe of interest. Thanks for the tip Mark. I think I've already read just about every VHF thread on UKRGB (it feels like it anyway ). Incidentally I think your radio is still available alongside the 851 (which as you say has DSC capability). http://www.standardhorizon.co.uk/index.php?cPath=174 I've not heard a bad word about any of the Standard Horizon radios. Thanks Silverbirch, I'll check your set out. That's very reasonably priced and great value, I paid £70 for my course (plus £30 for the licence). Well I'm sure the critics would be welcomed with open arms by the commercial operators who ran my course at almost twice the price if they preferred. Am I right in thinking the the licence is obtained once and it is for life (Like a Driving Licence), or does it need to be replaced each year? Yes it's a one off issue (unless your details change or the law governing VHF changes as it has in the past). Just to clarify, in the UK you need to obtain a Short Range Certificate (which is what you get on successfully completing the RYA course). This licences YOU to operate your marine VHF radio (or others to operate it under your supervision) and costs £30. Once you buy a radio you also need to apply for a Ship Portable Radio Licence from Ofcom, this is the licence for the radio itself and also includes your details on a database that is available to (amongst other organisations) HM Coastguard. You will be issued with a T number that identifies your radio but allows you to use the radio from different craft (in practice most people use the boats name to identify themselves not the T number). If you buy a DSC radio you will also be issued with an MMSI number. The SPRL is free if you apply for it online (there's a small charge for postal applications). Last edited by Jurassic; 22nd-February-2012 at 11:36 AM.